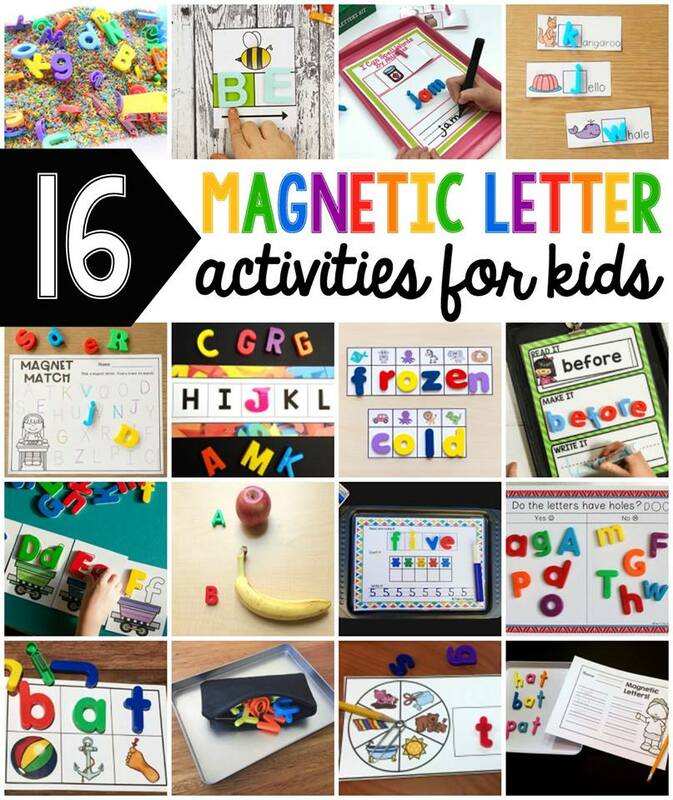 Magnetic letters are so much fun and there are so many different ways to use them. I made some sequencing cards and magnetic letters are the perfect manipulative to fill in the blanks. This is a great way to have young learners practice the order of letters in the alphabet. You can even turn it into a game and have them determine what letter is missing! To prep the cards, all you need to do is print them on cardstock for durability. There are two cards per page so you can cut them apart. I would recommend laminating if you plan to use them over and over. If you want, you can fold the pages and then laminate. This will give you two different cards back to back. To use the alphabet sequencing cards, set out magnetic letters and choose a sequencing card to work on. Have your learners determine what letter is missing and put the correct magnetic letter in the blank space. Some cards have two missing letters, some have only one. 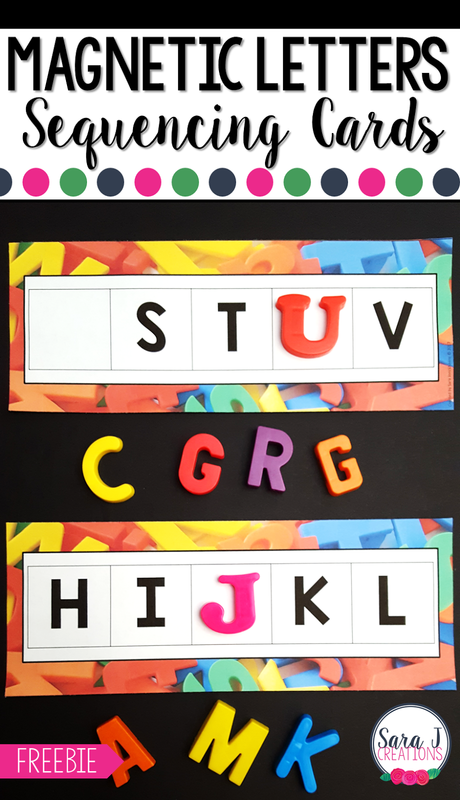 For learners that need more support, just select a few magnetic letters to serve as options for them so that they aren't overwhelmed by all of the letters in the alphabet as a choice. If they are really struggling with the order of the alphabet, keep an alphabet chart handy for them to refer to. Grab a free alphabet chart here. This would make a great working with words activity for literacy centers or with an RTI group. Do you want a FREE set of these magnetic letter sequencing cards? Just scroll to the bottom of this post and find the button that says "click to download." Enter your information and the cards will be emailed directly to you. Check out some of these other awesome magnetic letter freebies from some amazing bloggers. To grab your free Magnetic Letter Sequencing cards, click the button below.